MÄCH ONE is a very lightweight Formwork system made of high quality Aluminium Extrusion with admirable strength to take on the site conditions. The light weight panels ensure excellent finish, faster construction and high repetition. 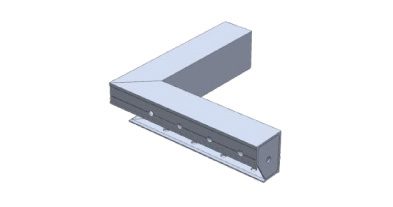 MÄCH ONE Aluminum forms is best suited for construction of residential units and mass housing projects. It is fast, simple, adaptable and cost effective. It produces total quality work which requires minimum maintenance and when durability is the prime consideration. 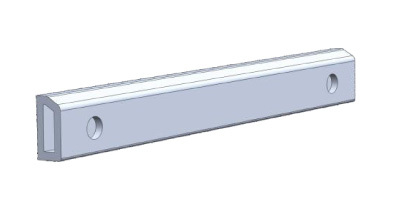 The system is designed for maximum repetitions with very stringent tolerances, well designed edges to resist sight abuses. 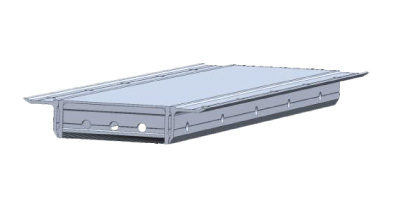 This system is most suitable for Indian condition as a tailor made aluminum formwork for cast in-situ fully concrete structure. Latest Technology: Our integrated manufacturing facility at Murbad, Maharashtra boasts of the most modern machineries for Aluminium cutting, bending and fabrication using modern computer technology. We have been manufacturing scaffolding and formworks from our Factory for past many decades and supplying across the globe. The state of the art factory has been visited and appreciated by many construction experts from across the globe. 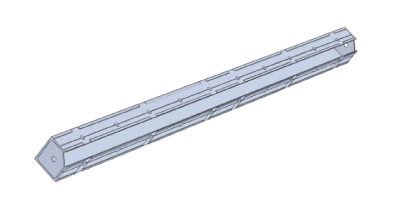 High Tolerances: All our extrusions are made from dies customized as per our design with high and stringent tolerances. High End Finishing: Our most modern machineries and manufacturing system ensures a very good unmatched finish. Our products have no rough surfaces and undulations which are the primary concern of any project manager when the material arrives at his site. We have a zero tolerance stringent Quality control policy and has no hesitation in rejecting for the slightest of the deviation. 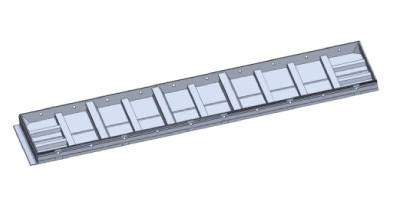 Standardization: MÄCH ONE is a Modular Formwork system with Panels of standard sizes. Our Design department has ensured a very high degree of standardization in our overall Product design which ensures maximum proportion of standard components in our shell designs. This ensures reuse of our products from one Project to another and also adaptability to new design. 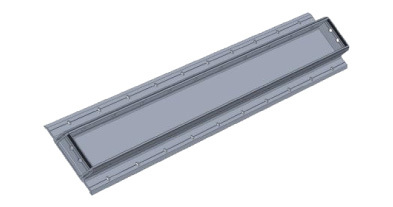 Highly Durable: Made in our state of the art manufacturing facility with high degree of quality standards, the system is highly durable for long uses and multiple repetitions. Easy Assembly: Our standardization and design optimization makes Mäch One easy-to-assemble modular system. Our Technicians come with proper drawings and design support at the site to make your site team adept with our system. 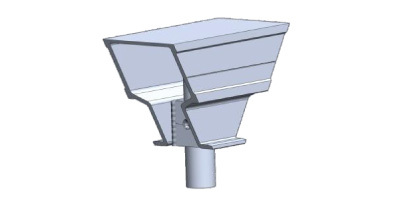 They ensure a complete comfort to your team with our system in terms of erection and striking. The system doesn't call for skilled work force to use it. Faster Cycle Time: MÄCH ONE systems is a modular formwork system which is very easy to assemble and equally easy to take it to the next level. It works at a cycle time of 4 to 7 days. 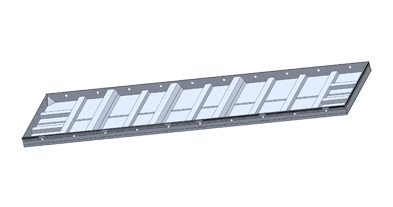 Crane Independent movement: It is a lightweight Aluminium Formwork system with standard panels of sizes which can be manually handled at the site, transferred through a slab transfer opening, and does not need the crane for taking it to the next level. 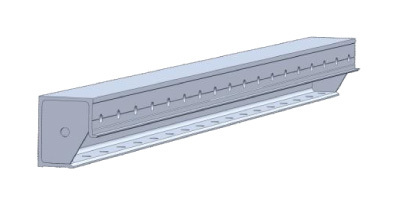 No Requirement of Scaffolding: The system comes with shoring and external working Platforms and scaffoldings are not required. Excellent Surface Finish: It provides unmatchable surface finish leaving almost nothing for any further touch up. High repetition: Its designed to take the site abuses ensuring durability and high repetition. Less idle time It requires very minimal maintenance and can be put to reuse with not much of idle time. Cost Effective: MÄCH ONE is very cost effective owing to its standardized design, cycle time, durability, repetition and user friendliness. The Wall panel forms the face of the wall above the Rocker (RK) first. 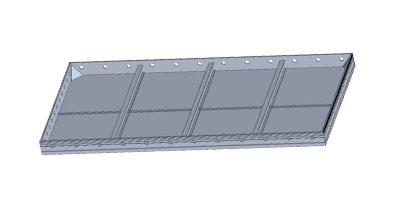 Deck panel used to form the soffit of the slab. The Wall panel forms the face of the wall with Rocker (RK). 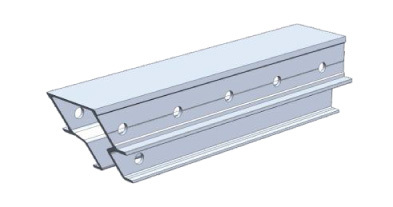 The SC component forms the horizontal internal corner between wall/beam face and slab face. 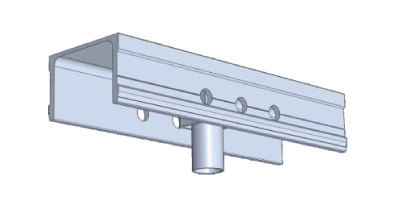 The SC component forms the horizontal External corner between wall/beam face and slab face. Use to joint beams together (Mid beam & End beam), the prop support will be placed under the Deck prop head. 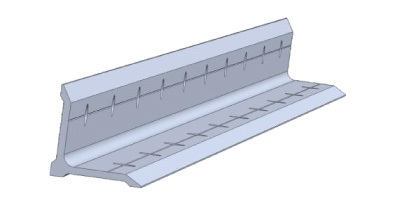 Use to joint the prop head and slab corner, The end beam supports the slab panels. Use to joint the prop heads, The Middle beam supportes the slab panels. Soffit panel will be used to cover bottom of the beam. 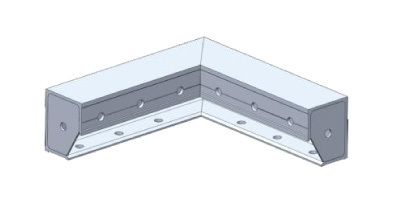 Connection between Wall panel & Slab panel. Soffit bottom Prop support will be placed under the Beam Prop Head. Used to closed the wall end. Size – ST - 375 mm. 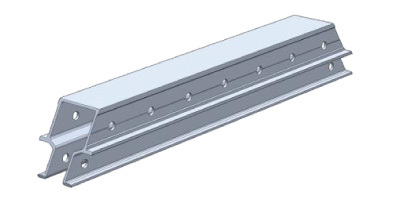 Use to joint the Deck prop Head with the beams (Middle beam and/ or End beam). Use to Connect two vertical panels in internal corner.